I wasn't sure what was up when Aaron called me out to my parents backyard in the middle of the night. 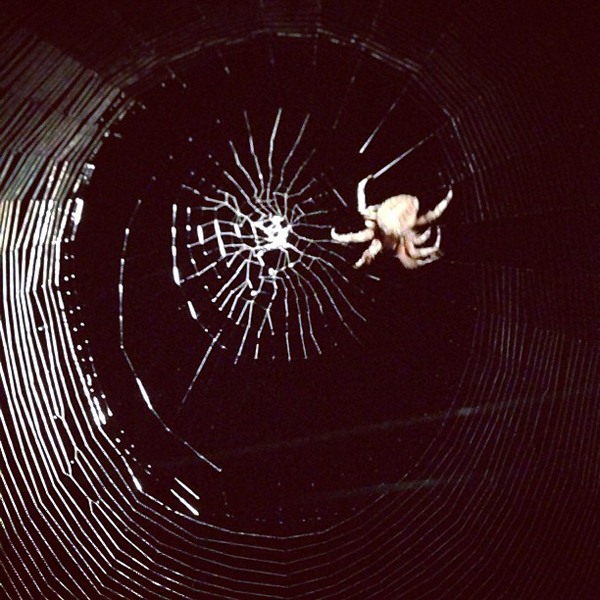 Turns out he found a huge spider web and an orb weaving spider busy working on it. I walked around to the other side to take a picture and found another! He was trucking right along like a needle on a record. Industrious.